With the EU labeling products from Jewish communities in Judea and Samaria and boycotts already in the offing, it is important to look at where this idea came from in the first place. You read that correctly. 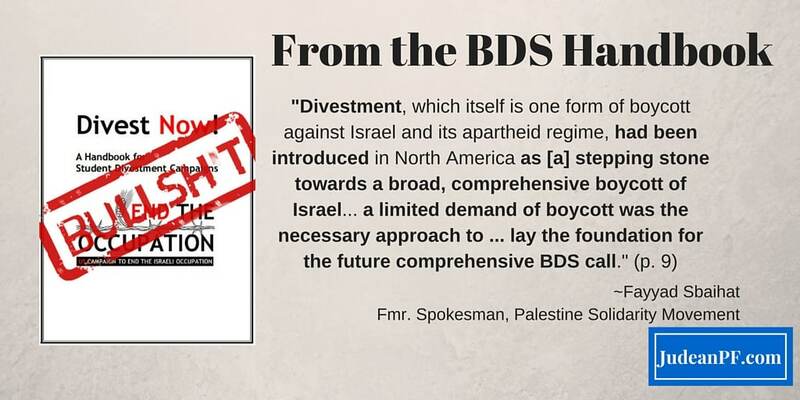 The BDS movement admits to its activists that calls for a “targeted boycott of settlement products” is merely a strategic move that was necessary to “lay the foundation for the future comprehensive BDS call” against all of Israel! They don’t often say this to outsiders because this would mean they are actually advocating a boycott of the Jewish State and is not just against settlements. But this is exactly what the BDS movement is all about. 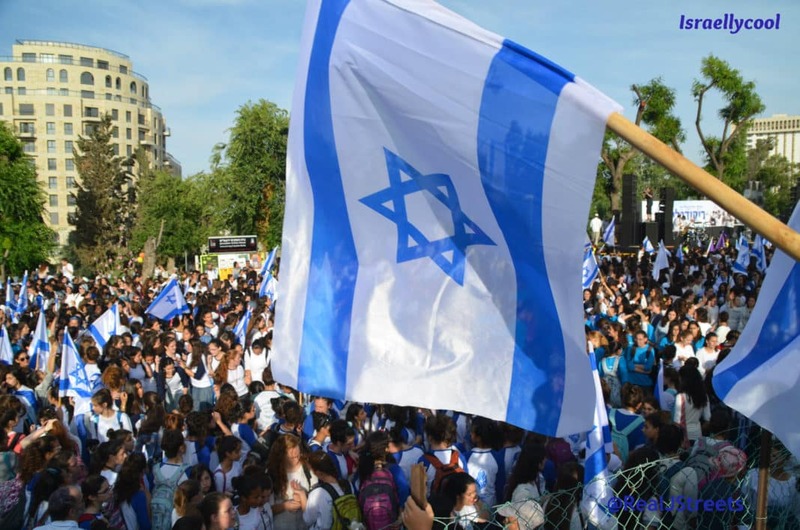 It isn’t about settlements or occupied territory, it is about Israel itself. What’s more, Sbaihat’s personal associations show that he is not merely anti-Israel or pro-Palestinian. He is a supporter of full blown antisemitism. 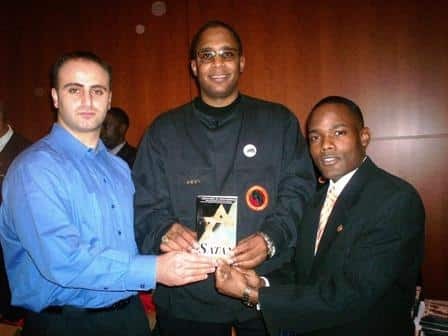 Here is he with Ashahed Muhammad, Nation of Islam member and author of “The Synagogue of Satan,” (condemned by the ADL for rabid anti-Semitism) and Malik “Zulu” Shabazz, currently the National President of Black Lawyers for Justice and the former National Chairman of the New Black Panther Party who wrote the book’s forward. 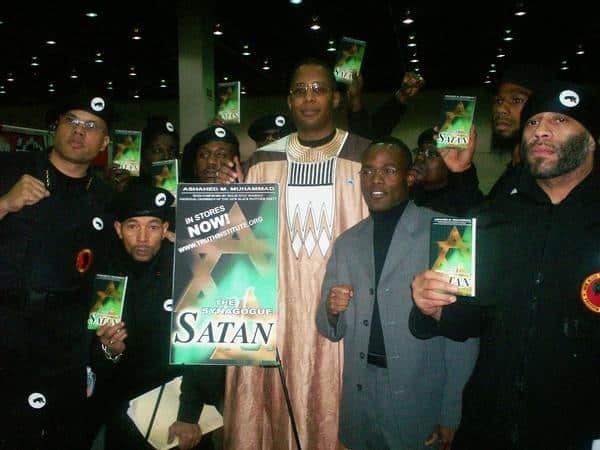 Sbaihat can’t claim he didn’t know who these people were or that they wrote this anti-Semitic tome that rivals Mein Kampf in its Jew-hatred because he’s holding it in the picture! There’s even a demonic Jewish star right on the cover! 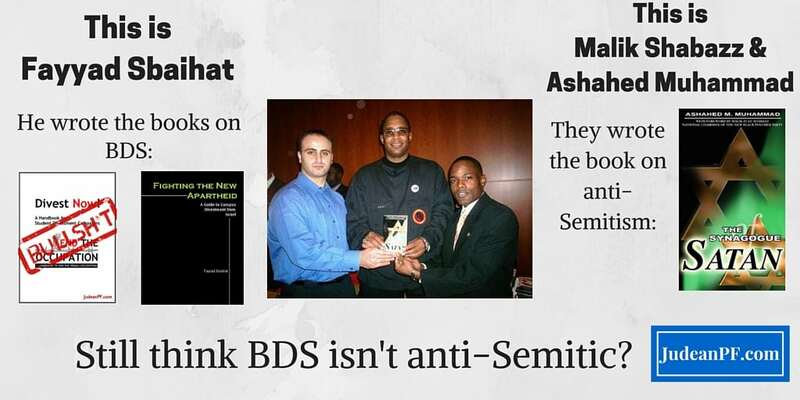 Look how proud Muhammad and Shabazz are of their Jew-hating book! Then, in 2002, while protesting B’nai B’rith International in Washington D.C., Shabazz yelled, “Kill every goddamn Zionist in Israel! Goddamn little babies, goddamn old ladies! 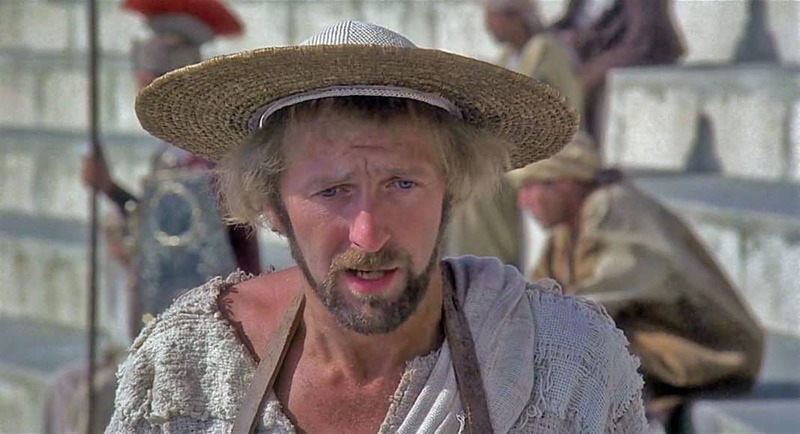 Blow up Zionist supermarkets!” At least that time he was “smart enough” to say Zionist instead of Jew, but no one with an ounce of intellectual honesty can say he wasn’t talking about Jews. Since hatred of Jews never ends with Jews, no one should be surprised that Shabazz also has a violently racist attitude against white people and routinely engages in homophobia. 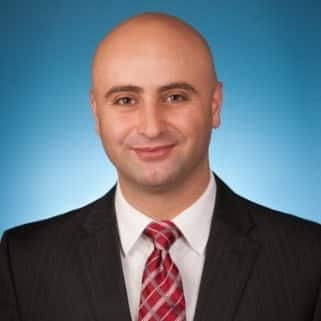 BDS Leader Fayyad Sbaihat, who literally wrote the book on BDS, not only admits that boycotts of settlements is just a strategy to warm people up to full blown boycotts of Israel, but he openly associates with unabashed Jew-haters like Shabazz and Muhammad and supports their views. For more posts examining the deceptive nature of BDS, head over to Calling BS on BDS from the Judean People’s Front.